Ȼi̅x̅ - Homebrew - SMS Power! Ȼi̅x̅ is an action/puzzle game inspired by Qix. 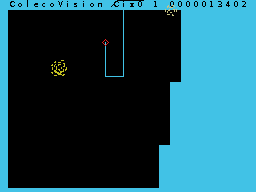 It has a simultaneous two-player mode. 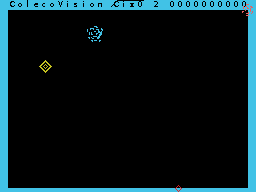 I originally wrote the game for the ColecoVision. This is a port to the Sega consoles. 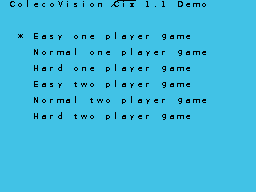 It should work on SG-1000, SC-3000, Mark III and Master System, but so far has only been tested in the emulator Meka, not yet on real hardware. 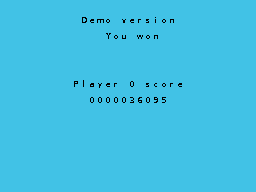 I consider this version a demo, since it has only one level. I intend to make an improved version later. The current demo version should already help in finding bugs or violations of UI expectations.